* New imaging techniques in the healthcare field have become an essential part of medical care, facilitating early detection, rapid diagnosis and monitoring of disease. 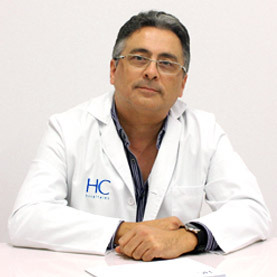 * To comply with our commitment to innovation and precision medicine, and following the strictest standards in this field, HC Marbella international Hospital will soon be opening its new Medical Imaging Centre, with far-reaching objectives. The new unit will drive and expand the diagnostic capacity of HC Marbella International Hospital. – 64 slice CT (computerised axial tomography). – PET (positron emission tomography). – 3T MRI (magnetic resonance imaging). – Conventional X-rays for interventional radiology and vascular studies (of arteries and veins). The new Medical Imaging Centre will enable the hospital to expand its diagnostic capacity, both for patients treated here as well as those referred from other doctors and medical centres. Advantages of the HC Medical Imaging Centre. ● It brings together state-of-the-art imaging technology, and advanced clinical experience, under one roof. ● It enables the organisation of different investigations, individually tailored for each condition. ● It encourages meetings between the various medical teams, allowing smooth and quick decision making. – Reduction in waiting time for an appointment. – More comprehensive care, with a personalised programme. – Greater speed, saving time wasted moving from one appointment and/or consultation to another. – Provision of a warm and relaxing atmosphere making it more comfortable and convenient for each patient. – Privacy and confidentiality guaranteed. “Our objective is to adapt, individually, to the particular medical history of each patient. With the inauguration of the new centre in November, we expect that the potential provided by the facilities, as well as our highly-qualified staff, will allow us to respond to the specific needs of each of our hospital’s patients, as well as of those patients referred to us by other centres”. Our experienced clinicians, in conjunction with state-of-the-art technology, will enable us to provide a wide range of diagnostic services and imaging treatments for each patient, and to select the best pathway to reach a diagnosis as well as the most appropriate treatment for each individual. This approach is especially beneficial for Medical Oncology patients, an area in which our hospital has a long, and proven, track record. Nowadays, imaging is increasingly used in oncology, it is not always easy to prioritise the tests or investigations required. The new Medical Imaging Centre will help us to develop specific investigations and pathways for each type of cancer, adapted to the selected treatment and diagnostic approach.